We just came out with a new version of Expired Tumblr Hunter. This completely free software (more on this later) is available to download by simply joining our newsletter. You will then be sent a link where you can download the software for free along with $597. of other marketing and SEO software. Expired Tumblr Hunter 2.0 will find Tumblr blogs according to your specific keyword search that have both been abandoned by their owners and that are also already indexed in Google for your keywords. Tumblr is an extremely popular authority blog network/ social media network. Having links from well indexed blogs on Tumblr can help you rank your main website on Google. The strategy is to find blogs that have been abandoned by their owners and that are already indexed for your keywords. Then you simply re-register the blog usernames for free on Tumblr and populate the blogs with your original keyword targeted content. This is a well known strategy among SEO strategists. The idea is to find lots of blogs that are already indexed for your keywords then use these blogs as backlinks to your main site. This strategy is used on many other web 2.0 properties such as wordpress.com and blogger.com but Expired Tumblr Hunter 2.0 focuses on Tumblr. First the software searches for Tumblr blogs on Google according to your keywords. We also have a free keyword scraping tool called “Ultimate Keyword Scraper.” You can download this free software from the same place as the Expired Tumblr Hunter after you join our newsletter. You can gather your keywords easily using the Ultimate Keyword Scraper then input the keywords into Expired Tumblr Hunter. The software will then search for Tumblr blogs that are indexed in Google for your keywords. On step 2 Expired Tumblr Hunter will check to see if these Tumblr blogs are showing a 404 error. This usually indicates that the blog has been abandoned but is still obviously indexed in Google. ON step 3. Expired Tumblr Hunter will check to see if the Tumblr username is available. Then you can save the final available Tumblr usernames in a text file to your computer. Then you can log into your Tumblr account and register these blogs yourself for free. Then add your own keyword content and create some quality back links to your website. We originally were promoting a version of Expired Tumblr Hunter by a developer called Supagrowth. The developer told us to give away the software to our lists as completely free software. Unfortunately a few weeks later they decided to make this paid software. This made us look quite foolish to our list and followers since we had promised them free software. Well, we then decided to make our own version of the software from scratch. It took us a few months but the software is out and is working fine. And it is 100% freeware and it will stay free. We Originally Were Promoting The Supagrowth Version of This Software However They Decided to Turn The Software Into Paid Software. Our Completely Original Version is Totally Free. 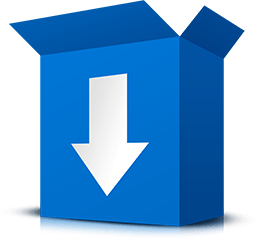 No Upsells and Available for Download Now. Please join our newsletter from this site and you will be sent the download link. We also have paid software on our site www.coolmarketingsoftware.com. You can earn 50% commission on all our software packages by joining our affiliate program for free here. Use Tumblr Hunter and Our Other Free Software to Build Your List. Offer This Free Software As An Incentive for People to Join Your List. This is a Great Way to Get More Subscribers. You can even use our free software as a give away to get people to join your list. Then add sales letters later in your autoresponder series for our paid versions of our marketing software. Giving away free software is a great way to build your list and we already have great free software to give away. 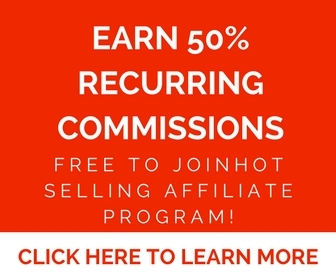 Join The Coolmarketingsoftware.com Affiliate Program Here and Earn 50% Commissions on Our Paid Software Packages. Join our newsletter from this site and download our free software. Tell people they will get free software by joining your list. Include sales letters for our paid software later in your autoresponder series and earn 50% commissions on sales on ALL software purchased!